Of the 51 universities across Australia and New Zealand, at least 32 have worked with Programmed. Some of these include universities which rank among the oldest and most prestigious, where we deliver excellent grounds presentation all year round to ensure a safe and relaxing landscape that the students can enjoy. As these universities were among the very first in Australia to be established, they have very mature grounds and a number of heritage-listed buildings. On one such university campus, we look after beautiful heritage structures with a distinguished European architecture that was built in the Victorian-era. It even bears a façade fully covered by climbing creeper plants. Extra care is required when maintaining this, not just because of the building’s age, but also because this particular campus is traversed by over 40,000 students and staff. Its on-going maintenance is one of many unique tasks that our grounds teams carry out across universities in tandem with routine mowing and garden care. 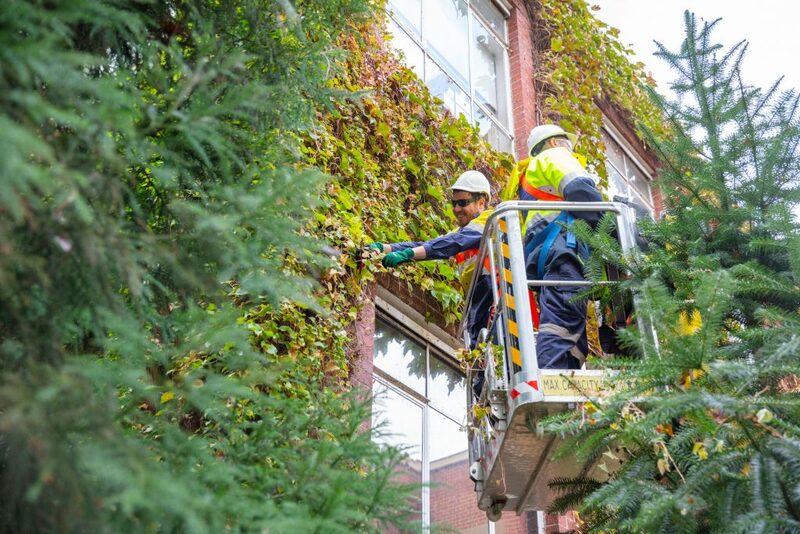 This particular task is carried out three to four times a year and involves trimming back any overgrowth so that the creepers neatly hug the edges of windows and doors. Many universities have these structures which extend to significant heights. So, to safely access areas of work at these heights elevated work platforms are used. Work begins as early as 7am in order that it can be finished before the campus becomes alive. And, it always starts with the establishment of a safe work area. In the case of pruning the climbing creepers, a considerable parameter of the surrounding area beneath is cordoned off so passers-by aren’t hurt by any inadvertent falling cuttings. Prior to work commencing, all equipment is checked to ensure it is working properly and the team starts by gearing up with safety harnesses and personal protective equipment. With the preliminary preparation completed, actual pruning promptly occurs and paths cleared so that we maintain accessible thoroughfares. These details make certain that maintenance works do not impede regular university activity. 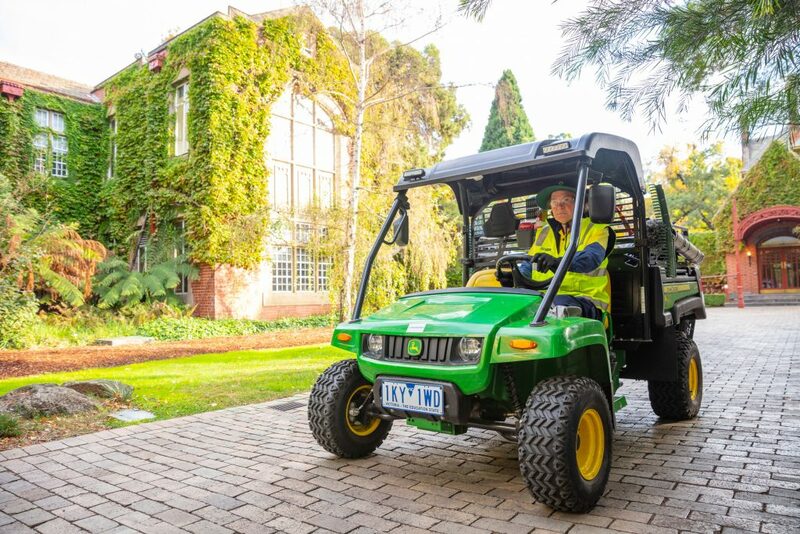 Additionally, on this site, to keep staff and students safe, our team has opted to use motorised vehicles known as gators instead of electric ones to transport crew and equipment across the campus. Their loud engines alert students to oncoming traffic from as far as 10 metres away, allowing them ample time to step aside. This has effectively helped to avoid incidents, especially with students walking around with headphones and unaware of their surroundings. These practical demonstrations of Programmed’s commitment to the safety of staff and students on site have resulted in the grounds team on this campus recently ticking all the boxes and achieving an outstanding 10 out of 10 during a random safety audit and high-risk work analysis that the University’s safety team conducted. Consequently, the university is extremely pleased with our work, giving us very positive and encouraging feedback. 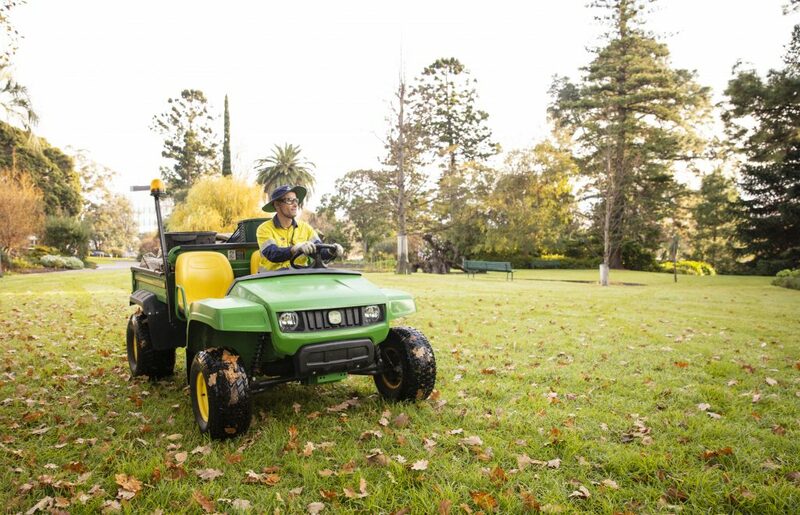 At Programmed, our grounds crew work tirelessly to keep university campuses well-presented and make sure staff and students are safe every day. We can partner with you to keep your campus or site equally beautiful and safe. Speak to us today.